This is a Sponsored post written by me on behalf of Avocado App for SocialSpark. All opinions are 100% mine. That is why I also love Cinco de Mayo. It is the perfect event to incorporate my many other loves. Who doesn't like to throw a fiesta with family and friends and serve delicious food and drinks? 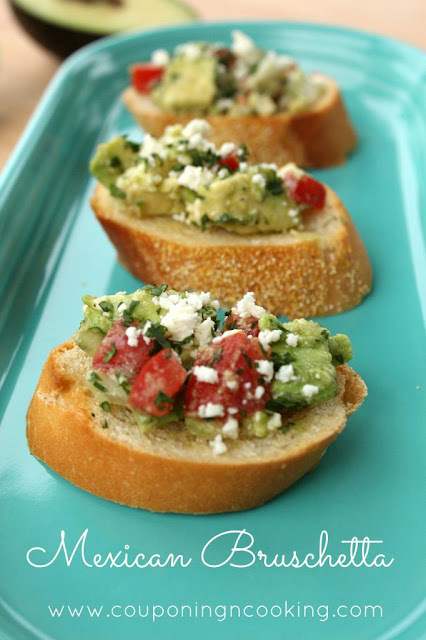 And what else would you serve at your Cinco de Mayo party but Avocados from Mexico? That's where this Mexican Bruschetta comes in. If a bistro married a cantina, this would be their baby. 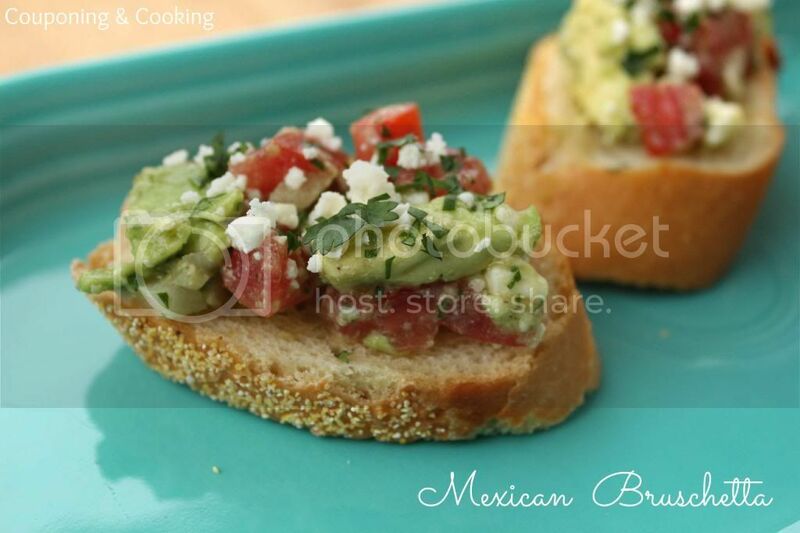 It's the perfect blend of avocados, tomatoes, onions and feta cheese atop a crispy slice of sourdough bread. The hint lime juice leaves you wishing you had a margarita. And the best part? It is ridiculously easy. Like only one bowl and fifteen minutes easy. Which leaves you plenty of time to celebrate with the ones you love. Speaking of the one I love, you may know by now that he is a firefighter which means that we don't always get to spent as much time together as we like. That's where the Avocado app comes in. 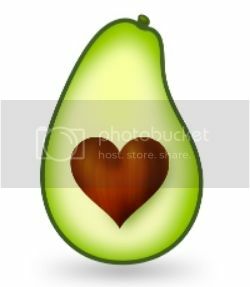 The Avocado app is a great way to share messages and photos with the ones you when you can't be with each other. I have had way too much fun sending Justin doctored photos of us while he is away at work. 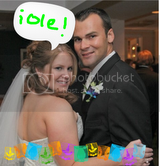 I even Cinco de Mayo'd one of our wedding photos for him. If you love avocados and Cinco de Mayo like we do make sure that you check out the I Love Avocados For Cinco De Mayo sweepstakes. You could win up to $1000 and a premium version of Avocado app by simply posting a photo of you and your significant other with your favorite dish made with Avocados from Mexico. Visit Avocados from Mexico on Facebook to enter! Avocados from Mexico is also hosting an #iloveavocados for Cinco de Mayo Twitter party on May 7th between 3:00 and 4:00 pm EST. Make sure you stop by and join in the fun! 1.) Prepare your ingredients and combine them all (minus the bread) in a large bowl. 2.) Stir to combine. You just want to gently mix the ingredients. Be careful not to smash them together. 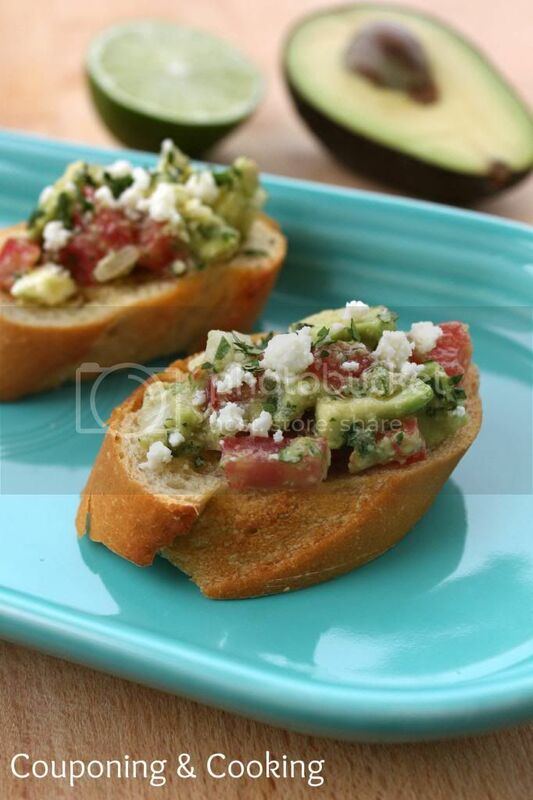 The avocado, tomato, feta and onion should be lightly coated in the oil, lime juice and seasoning. 3.) Place a heaping tablespoon of the mixture on each toasted slice of bread. 4.) Sprinkle with a little more cilantro and feta. 5.) Serve and enjoy your fiesta! Looking for more Cinco De Mayo recipes? Make sure to check out Avocados from Mexico's website and follow Avocados from Mexico on Pinterest too!